DHL Global Forwarding, a leading international provider of air, sea and road freight services, has appointed Christelle Fadel, Rob Kennaugh and Fadi Bastoni to lead its business in Morocco, Bahrain and Kuwait, respectively. “We have high hopes for growth within our region: The Middle East is projected to grow by 3.7 per cent this year while a similar upward trend is predicted for Africa,” he said. “With these three leaders taking the helm, their respective countries will benefit from their deep local and regional logistics expertise, as well as individual visions to improve business results,” he added. Christelle Fadel takes on the role of general manager for the business in Morocco; she has been with DHL since 2014 and brings with her close to two decades of experience in supply chain and freight forwarding in Germany, France and Morocco, said a statement from the company. She was most recently head of product and customer service for DHL Global Forwarding in Morocco. Fadel holds a degree specialising in International and Wholesale Trade from the Cologne Chamber of Commerce and Industry (IHK) in Germany. “With the support of the committed and top-class expertise, and our deep understanding of the market, I'm confident that we will deliver a world-class forwarding service for Moroccan businesses in all industries,” she said. Rob Kennaugh officially assumes role of country manager in Bahrain, said a statement. A veteran of DHL, Kennaugh has been with the company for 25 years, taking on various roles across Australia, China, Oman, Germany, Spain and the UK. He brings with him a wealth of international experience in end-to-end logistics for the oil and gas sector. Most recently, he was the head of Lead Logistics Partnerships (LLP) for DHL Global Forwarding in Abu Dhabi, where he has been based since 2015. As country manager, he will oversee DHL Global Forwarding's business in the country, as well as lead the region's integrated warehouse solutions (IWS) and a global shared service centre. “I believe my understanding of the region puts me in good stead to lead the team here in Bahrain, as we work together for greater growth. I'm also keen to spearhead more digital customised solutions for our customers to enhance their logistics efficiency,” he added. Fadi Bastoni has been appointed as country manager to oversee operations in Kuwait, it said. 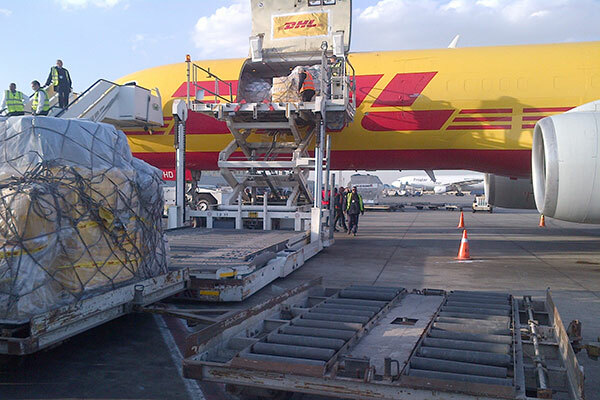 Bastoni first joined DHL Express Saudi Arabia in 2000 where he was, over the years, responsible for various functions including air freight as well as global customer solutions. In 2009, he left the company to pursue another role in the industry, but returned to DHL in 2012 as country manager for DHL Global Forwarding Bahrain. During his tenure, Bastoni grew the business by achieving double digit growth for shipments handled and revenue. He holds a Masters in Financial Institutions Accounting from Damascus University in Syria.